Buenos Aires – On June 10th and 11th, Tax Justice Network together with Argentina’s General Prosecution Office (Ministerio Público Fiscal), Argentina’s Central Bank and other NGOs including Fundación SES, Latindadd and CIPCE hosted a two-day event involving Government and civil society concerning the need for registries of beneficial ownership. 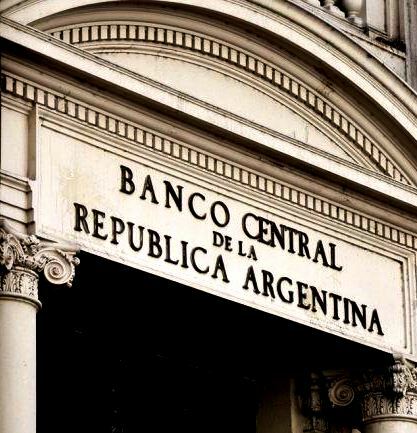 The event took place at one of the main halls of Argentina’s Central Bank and was one of the main gatherings of government agencies and NGOs. Public officials from the principal Argentine government agencies participated both as speakers and audience, including the commercial registry (IGJ), the tax authority (AFIP), the Central Bank, the General Prosecution Office (MPF), the Securities Exchange Commission (CNV), the Financial Intelligence Unit (UIF), the Registry of Immovable Property (RPI), Insurance Regulator (SSN), the Foreign Ministry, the Media Authority (AFSCA) and a Member of Parliament who is the Chair of the Bicameral Commission investigating HSBC undeclared accounts. Latin American authorities from Panama, Brazil, Ecuador, Venezuela and Peru also took part. 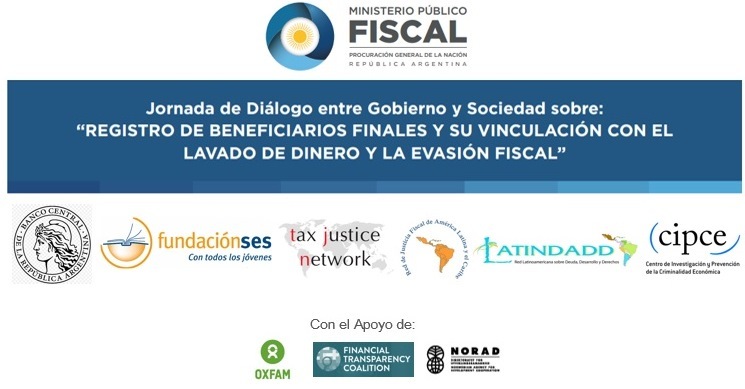 On the civil society side Tax Justice Network, Fundación SES, Latindadd, Cefid-ar, CIPCE and others participated as panelists, including Christian Aid and the Financial Transparency Coalition. The first day started with the problem of opacity and illicit financial flows, followed by the international context and obligations within the G20 and the OECD to have registries of beneficial owners. In the afternoon, each agency explained their existing rules on ownership registration and its many limitations. The day ended with other public officials explaining the difficulties they face when needing to access information. Day two referred to the ideal scenario. It started with a panel on government procurement and initiatives needed to stem corruption. The day ended with a discussion on which entities should be registered (companies, trusts, etc. ), what information should be registered, and finally, who should have access to this information. Highlights of the conference were an idea to start registering and cross-checking information on people who cash a cheque, in order to prevent cash money from going undetected; a presentation on the real owners of main news and TV media companies; and a recent registry of rural land held by foreigners, which showed the amount of lands owned through entities registered in different tax havens. Facts presented by the Bicameral Congressional Commission on HSBC explained the way investigations are trying to prove that HSBC Argentina was aware and actively helped residents open accounts in HSBC in Switzerland. Interestingly, there was agreement on the need for registries of beneficial owners and public officials were well aware that most of the relevant tax havens are not small palmed-islands but some of the biggest countries including the US and the UK. A speaker from the Central Bank of Argentina cited TJN’s Financial Secrecy Index to say that if the UK were considered together with all of its overseas territories and crown dependencies, it would be the top tax haven in the world. Further conversations over the coffee break revealed that Argentina’s General Prosecution Office has also referred to TJN’s Financial Secrecy Index in legal presentations to court! The conclusion of the event was that much more cooperation and exchange of information is needed among national authorities. TJN will try to assist in the process and hopefully obtain some public access in return. A report on the event (in Spanish) is available here.